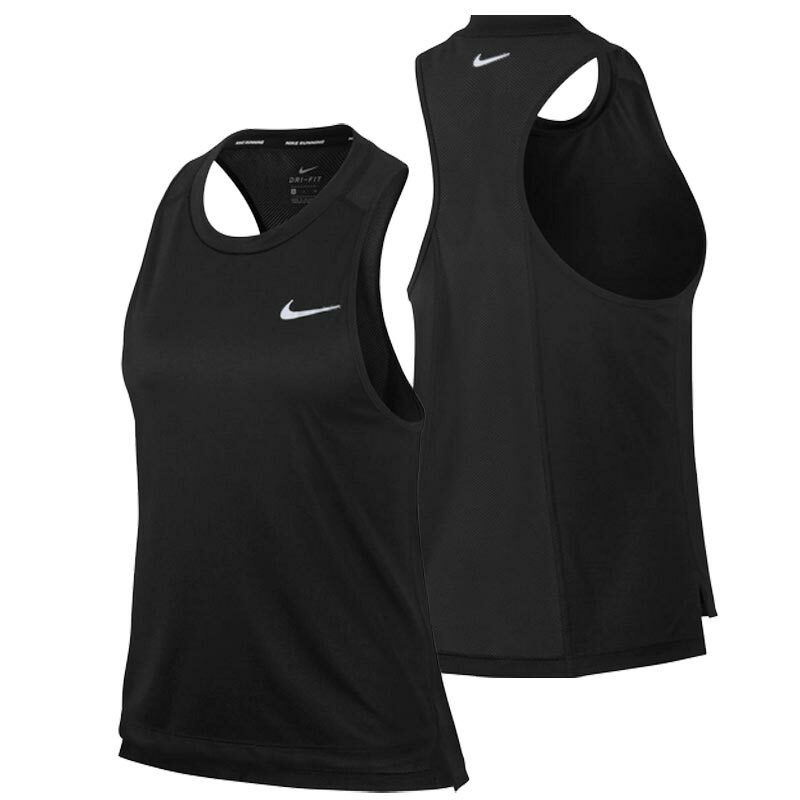 Nike ® Miler Women's Tank Top. Cool comfort without distractions. 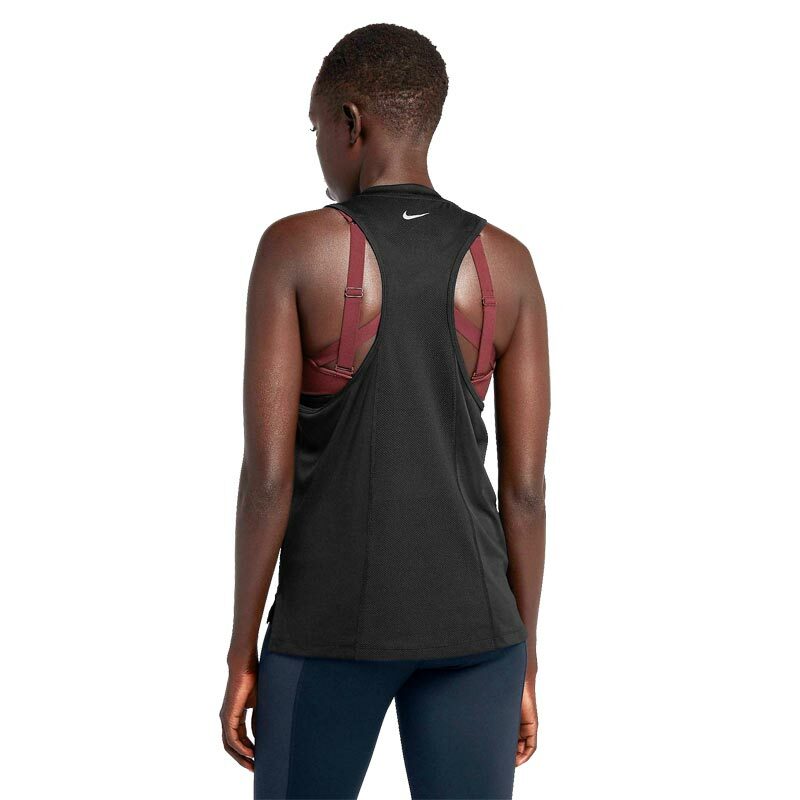 The women's Nike Miler Running Tank has a relaxed fit, sleeveless design and sweat-wicking fabric to keep you cool and comfortable while ticking off those miles. 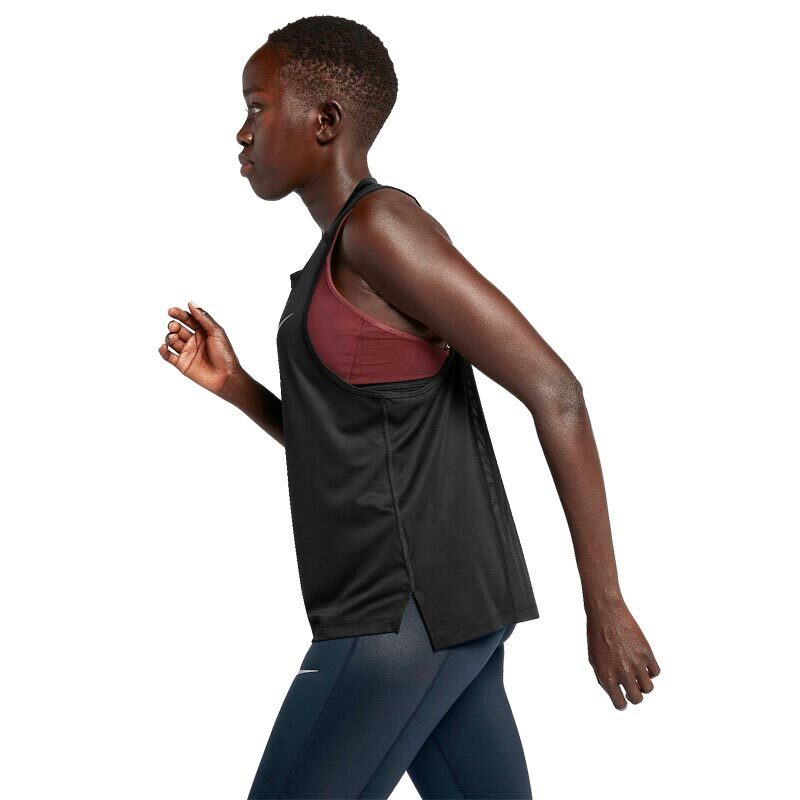 Exaggerated sleeveless design lets you move freely. Mesh at the back enhances ventilation. Stepped hem with side vents extends coverage in the back.